This recipe is fresh, delicious, and easy as pie (but a lot better for you)! Serve with a whole grain toasted baguette, if desired. Cut the tomatoes in half. Allow the tomatoes to sweat by adding a pinch of sea salt and placing them in a sifter while preparing the basil. Wash the basil leaves and dry thoroughly. Tear leaves into small pieces with hands, or to chiffonade the basil, stack the leaves on top of one another and gently roll them up to avoid bruising. Gently slice the leaves crosswise to form neat strips. 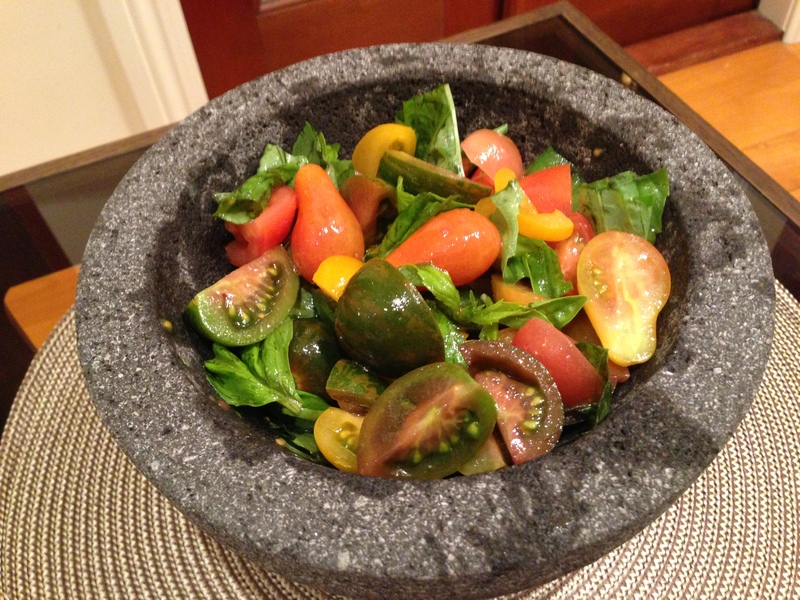 Place tomatoes and basil in a bowl. Add EVOO and finish off with a pinch of sea salt & pepper.